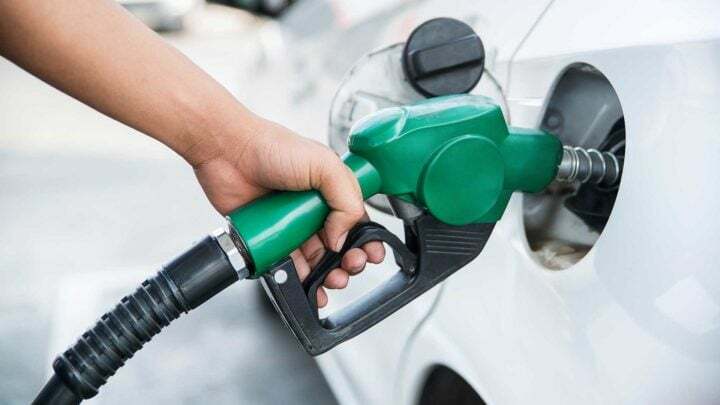 The Honourable Supreme Court of India directed the government to provide better fuel quality in the NCR region last year. The central government has informed the Supreme Court that the BS-VI grade fuel will be available in the NCR region starting April 1, 2018. In order to curb the vehicular pollution around the Near Capital Region, the Indian government is taking several measures. While the odd-even failed miserably to affect the air pollution levels, the government looked towards stricter emission norms for vehicles trading its roads. While the developed markets like Europe and USA took at least 5 years shifting from Euro-IV to Euro-V emission norms, India wants to skip the BS-V all together and wants to jump directly to BS-VI emission norms that too in a short span of just 4 years. This decision made by the government has left the manufacturers focussing more towards making their engine lineup BS-VI emission norm friendly and has decreased the number of new launches slated for India. How good is the BS-VI grade fuel, read along to find out. India’s emission norms are an exact copy of the European norms. The emission standard focusses mainly on four exhaust gasses, namely, nitrogen oxide (Nox), carbon monoxide (CO), hydrocarbons (HC) and particulate matter (PM). The Bharat Stage IV norms came into effect on April 1, 2017, barring the sales of all BS-III vehicles in the nation. The fuel companies too had to comply with the latest emission norms and introduced the BS-IV compliant fuel starting April 1, 2017, itself. While the BS-V emission norms were to come into effect in 2019 and BS-VI emission norms in 2023, the Indian government skipped the BS-V altogether and shifted the introduction of BS-VI from 2023 to 2020 to get in-line with the international norms. This shift has left the Indian automakers rushing towards the shift and investing the majour amount in R&D of their engine lineup to make them BS-VI friendly. The oil refineries left un-updated since decades now, need to bring in new technology and update their existing mechanism to upgrade to the BS-VI fuel grade. The cost of the upgrade is estimated to be INR 250 crores per refinery unit. BS-VI Fuel – How can fuel be made better? In a nutshell, the emission norms of fuel are decided by the sulphur content in the fuel. The current emission norms allow the fuel to carry 50 parts of sulphur per million (ppm). The upcoming BS-VI compliant fuel will be allowed to carry only 10 ppm of sulphur. This will result in more efficient burning of fuel leading to lower emissions of harmful gasses like NOx, CO, HC and PM. Is there a real-world advantage to run your existing BS-III and BS-IV vehicles on BS-VI compliant fuel? A simple answer would be yes. The lower content of sulphur available in the fuel translates to more efficient burning leading to lower emission of harmful gasses. Will the BS-VI grade fuel increase the fuel efficiency of your vehicle? The cleaner and efficient a fuel burns, the lesser fuel is required to run the vehicle. However, since the RON value of the fuel remains the same, the efficiency factor will remain mostly unchanged. Will the BS-VI grade fuel increase the life of your vehicle’s engine? Hell yeah! The higher the grade of the fuel, the cleaner it burns leaving little to no residue and your car’s engine will definitely love it. BS-VI Fuel – When will our cars be BS-VI ready? Introducing BS-VI grade vehicles in 2020 is a challenge most of the Indian automakers are worried won’t be able to comply in time. The Society of Indian Auto Manufacturers (SIAM) has shared it concerns with the deadline being too short for the shift and that the automakers might not be able to make the shift in time. You can simply rule out any mass-market car that is on sale now to be BS-VI compliant by the deadline. The beneficiaries of the shift would majorly be the premium segment that imports their cars from Europe and all these vehicles are already Euro-VI ready. What would be interesting to see though is that companies like Volkswagen, Fiat, who have made a considerable investment into toning their Euro-VI complaint vehicles down to BS-IV, especially the diesel engines, who will have to invest further to make their engine BS-VI compliant. All this while, the talk about the shift to electric vehicles seems partially cooked as India lacks the infrastructure to charge these electric vehicles and moreover requires to produce clean electricity through renewable resources like wind, solar and hydropower. Stay tuned for more info on upcoming fuel updates.